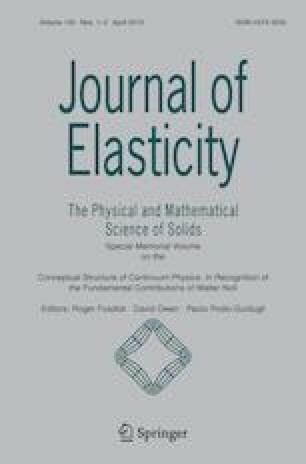 We study coupled nonlinear first- and second-sound propagation along equilibrium and nonequilibrium states of a thermoelastic system undergoing small perturbations. We apply a nonlinear constitutive equation for the Cauchy stress and a nonlinear heat-transport equation ruling the evolution of the heat flux. Both of them account for relaxational and nonlinear effects, as well as for the coupling between strain tensor and heat flux. The speeds of thermomechanical waves are obtained, and we show that they depend on whether the waves are travelling along, or against, a superimposed constant heat flux. A. Sellitto acknowledges the University of Salerno for the financial supports under grant no. 300395FRB18SELLI and grant “Fondo per il finanziamento iniziale dell’attività di ricerca”. V.A. Cimmelli acknowledges the financial support of the University of Basilicata under grants Ricerca Autonoma 2012, RIL 2013 and RIL 2015. D. Jou acknowledges the financial support of Ministerio de Economía y Competitividad of the Spanish Government under grant TEC2015-67462-C2-2-R. According to the entropy principle , the constitutive equations for the specific internal energy and for the Cauchy stress tensor have to be postulated in such a way that any solution of the system of differential equations in Eqs. (3a)–(4) represents an admissible thermodynamic process, namely, a process which is in accordance with second law of thermodynamics [5, 16, 17, 44, 45]. has to be negative semidefinite on \(\Sigma \). is used, then from Eq. (51e) we get the constitutive equation (6).